I stayed over this week in St Johns House, Lichfield, which had once been Saint John’s Preparatory School. 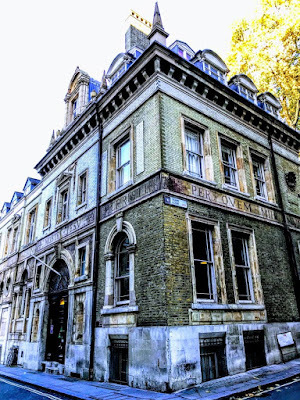 But earlier, on Thursday morning, as I was walking from Saint Paul’s Cathedral in London to Southwark for a meeting of the trustees of USPG, I stopped to see another school is now also involved in hospitality. The Youth Hostel Association (YHA) has a unique youth hostel in the heart of the City of London in a remarkable-looking building on the corner of Carter Lane and Dean’s Close that was once the school for the choirboys of Saint Paul’s Cathedral. When I was backpacking and staying in youth hostels in the late 1960s and 1970s, I stayed in old Jacobean manors with no electricity, mediaeval castles, former schoolhouses and country houses, and terraced houses in remote country villages. But this youth hostel in the heart of London is a hidden gem, only two or three minutes from Saint Paul’s Cathedral, the Bank of England, the Millennium Bridge, the Globe Theatre and the Tate Modern. There are fine wine bars and restaurants just a few paces away, and yet I imagine many city people pass by without appreciating its beauty, inquiring about its story and its architectural significance, or knowing that a licensed restaurant is part of its hidden interior. 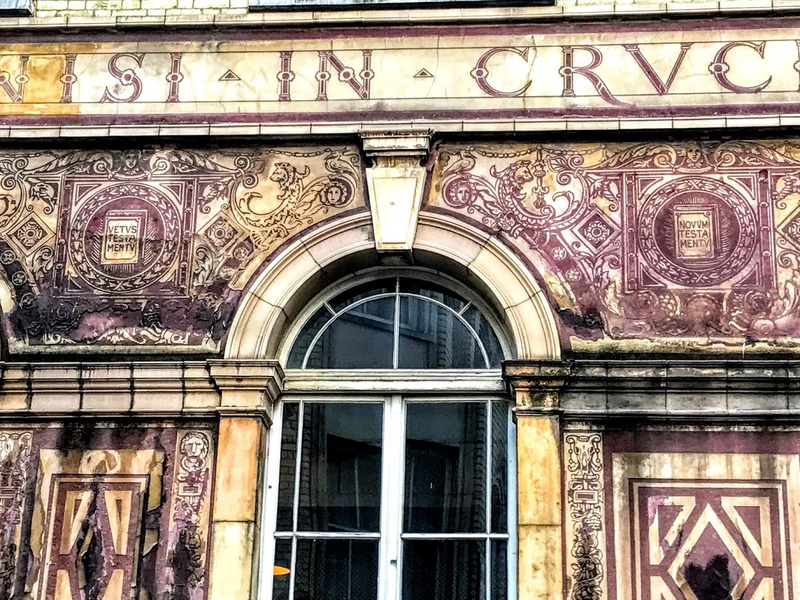 Outside, this looks like a decaying baroque building, but it was once Saint Paul’s Choir School, designed by one of Britain’s leading Victorian architects. 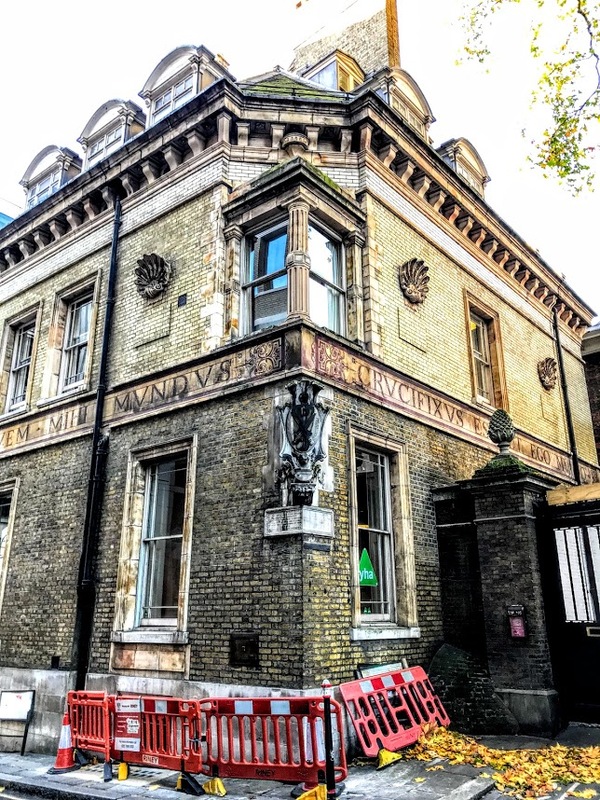 Although the school first opened on these premises in 1876 with 40 boys on its books, the establishment has a centuries-old history. There has been a song school associated with Saint Paul's Cathedral since its foundation in 604. The Choir School for boy choristers dates from about 1123, when eight boys in need of alms were provided with a home and an education in return for singing the daily cathedral offices. Gradually, two schools emerged, the Choir School and the Grammar School. For many years these two schools co-existed happily, the choristers graduating to the grammar school to finish their education, until the grammar school was re-founded in 1511 by John Colet (1467-1519), friend of Erasmus and Dean of Saint Paul’s. By the late 16th and early 17th century, the school was more famous for its acting than its singing. The children of Saint Paul’s had their own resident playwrights, who performed regularly at Greenwich Palace before Queen Elizabeth I. But there is, sir, an eyrie of children, little eyases, that cry out on the top of question and are most tyrannically clapped for ’t. These are now the fashion, and so berattle the common stages – so they call them – that many wearing rapiers are afraid of goose quills and dare scarce come thither. After the Restoration in 1660, the choristers had a somewhat chequered history. The money set aside to run choir schools and feed the choristers was often sneakily redistributed into other funding areas so that organists could barely earn a living and the boys were left largely to their own devices. This sad state of affairs moved Maria Hackett, who had sent her foster son to the choir at Saint Paul’s hoping he would receive a high quality of education and care. The cathedral only accepted responsibility for the boys’ showing up at services and choir practices, providing little in the way of basic education and nothing in the way of safeguarding. Hackett pointed out that the boys spent much idle time on the streets of London. She campaigned to have funds directed back to the choir, but her pleas fell on deaf ears until the Dean and Chapter of Saint Paul’s appointed an almoner with responsibility for the boys and gave them a place to live close enough to the cathedral. Inspired by the success of her 60-year campaign at Saint Paul’s, Hackett made a grand tour of all the cathedrals in England and Wales, comparing the conditions in which the choristers were kept. The original school in the cathedral grounds had been burnt down in the Great Fire of London. 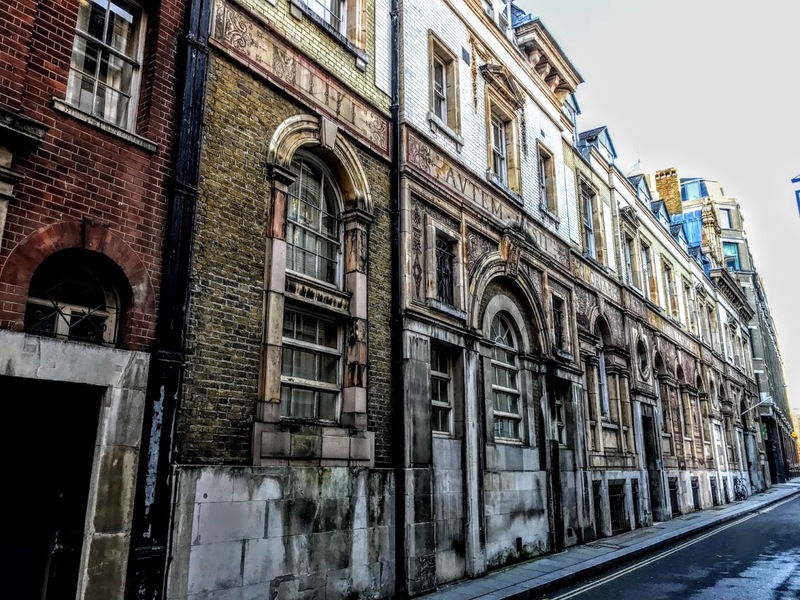 But her campaign for a permanent home for the school and the choristers would lead eventually to the re-establishment of a purpose-built school in Carter Lane, south-west of the cathedral, in 1874. This new school was built with white brick and terracotta, with sgraffito decoration, made by scratching through a surface to reveal a lower layer of contrasting colour. The Renaissance elements in the building include Venetian and round windows and round leaded doorways and niches. A slightly later red brick portion to the west was the former entrance to the Deanery stables. Mihi autem absit gloriari nisi in Cruce Domini Nostri Jesu Christi / per quem mihi mundus crucifixus est et ego mundo. ‘May I never boast of anything except the cross of our Lord Jesus Christ, by which the world has been crucified to me, and I to the world’ (Galatians 6: 14). On one corner of the building, a projecting heraldic cartouche displays the coat of arms of the Dean of Saint Paul’s and putto, with the two panels beneath. To the honour of Almighty God and under the protection of Holy Mother Church, the cornerstone was laid for this house built for the use of the choirboys of Saint Paul’s Cathedral, London, on the day after the feast of the Conversion of Saint Paul [i.e., 26 January] 1874, laid by RW Church, the Dean. In the presence of the brothers, Canon Robert Gregory, Canon Henry P Liddon, Canon Joseph B Lightfoot, Canon Piers C. Claughton, Albert Barff the Master of the Boys, and Francis C Penrose, architect. Richard William Church (1815-1890) was born into a well-known Quaker family from Cork, and was a named after his uncle, General Sir Richard Church (1784-1873), the Irish-born commander of the Greek army during the Greek War of Independence. Church became a tutor at Oriel College, Oxford, in 1839, and despite his mixed Evangelical and Quaker background, he was a close friend of John Henry Newman and closely allied to the Tractarian movement. He was appointed Dean of Saint Paul’s in 1871. The canons of Saint Paul’s named on the stone included some of the most influential Anglican theologians of their day. Robert Gregory (1819-1911), one of the canons named on this panel, would succeed Church as Dean of Saint Paul’s in 1891. Henry Parry Liddon (1829-1890) was a former vice principal of Cuddesdon Theological College (1854-1859) Dean Ireland’s Professor of the Exegesis of Holy Scripture at the University of Oxford. With Dean Church, he restored the influence of the Tractarian school, and he succeeded in popularising the works of Edward Bouverie Pusey and John Keble. He is buried in the crypt of Saint Paul’s. The patristic scholar Joseph Barber Lightfoot (1828-1899) was Lady Margaret’s Professor of Divinity in Cambridge. There, with Brooke Foss Wescott and Fenton Hort, he was part of the ‘Cambridge Triumvirate’ of Biblical scholars. He became Bishop of Durham in 1879. Piers Calveley Claughton (1814-1884) was the first Bishop of St Helena (1859-1861) and then Bishop of Colombo (1862-1871) before returning to England as Archdeacon of London and a canon of Saint Paul’s. Albert Barff (1828-1911) was the head of the choir school at Saint Paul’s. When he died he was the Vicar of Saint Giles, Cripplegate, and a Prebendary of Saint Paul’s. The architect of the school, Francis Cranmer Penrose (1817-1903), was a rower, architect, archaeologist and astronomer. He was the Surveyor of Saint Paul’s Cathedral, President of the Royal Institute of British Architects and Director of the British School at Athens. Penrose was a son of the Revd John Penrose, Vicar of Bracebridge, Lincolnshire, and was educated at Magdalene College, Cambridge. He rowed for Cambridge in the Boat Race in 1840, 1841 and 1842. Penrose studied architecture under Edward Blore from 1835 to 1838, and studied abroad under the Cambridge designation of ‘travelling bachelor’ from 1842 to 1845. In Rome in 1843, Penrose noticed a problem with the pitch of the roof of the pediment of the Pantheon, and subsequent research confirmed that the angle had been changed from its original design. In Greece, he studied the classical monuments and was one of the first people to discover the entasis of the Parthenon and to show the deliberate curvature of the steps and entablature. The Society of Dilettanti was interested in his discoveries and sent him back to Athens to confirm them. There is a debate about whether Penrose is the author of an article on Athenian architecture published in 1852, or whether the true author was Coventry Patmore. He was appointed surveyor of Saint Paul’s Cathedral that year, and did his main work in that role. His work in the cathedral itself included the choir seats and the marble pulpit and stairs. He designed the memorial to Lord Napier of Magdala and the Wellington tomb in the crypt and arranged the relocation of the Wellington monument. Penrose was also responsible for rearranging the west entrance steps and for exposing the remains of the old cathedral in the churchyard. The new cathedral choir school in Carter Lane was built to his designs in 1874. Penrose became a Fellow of Magdalene in 1884. He designed the entrance gate of Magdalene College and the Chapel Court of Saint John’s College, Cambridge. In 1886-1887 and again in 1890-1891, he was the Director of the British School at Athens, which he designed. It is said there was a cricket pitch on the roof of the school. The school remained on Carter Lane until the 1960s, when a road-widening scheme to divert traffic away from the edges of the cathedral included proposals to demolish the school and it moved to its present location in New Change. However, the road-widening scheme for Carter Lane was later cancelled. The school could have stayed there, but the site was then empty, and today it is a YHA youth hostel. 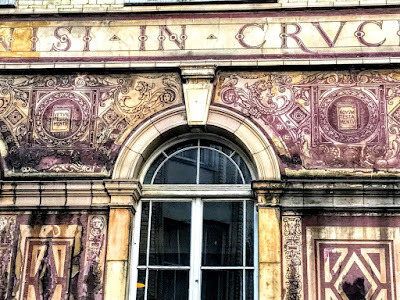 The hostel still displays some old school choirboy graffiti that can be seen in a wood-panelled classroom, as well as a spiral staircase, wall paintings, ornately carved front door, and, of course, the elaborate exterior, with its Latin lettering. The hostel has 213 beds in rooms with a wide range of sizes, from one to 11 beds. The hostel is suitable for families, groups and individual travellers. It has no self-catering facilities but has a fully licensed restaurant that is open daily for breakfast and dinner.